Jake Peavy with kids from THE BASE at Fenway Park. 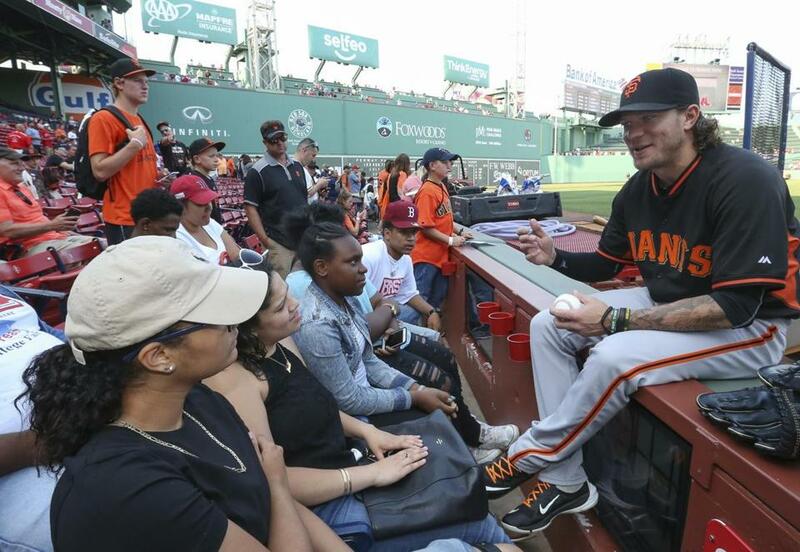 Old friend Jake Peavy, the Giants pitcher who helped the Sox win the 2013 World Series, was in town this week and gave student-athletes involved in THE BASE a pep talk. The nonprofit, which supports student-athletes with baseball and academic training as well as access to college fairs and academic scholarships, is a beneficiary of Paul and Theo Epstein’s Foundation to Be Named Later. Peavy was a big supporter of FTBNL when he played here.